The Bulls Iconic Evo TR 1 full-suspension chassis and massive wide tires, the Iconic Bulls Iconic Evo TR 1 is not only an impressive appearance. On all roads of everyday life and on long tours, it also offers a ride and comfort experience in a class of its own. Driving like on rails. In the saddle of the Iconic Bulls Iconic Evo TR 1 riders experience exceptional sovereignty and an impressive comfort experience. Full suspension and equipped with the extra wide Schwalbe Super Moto X tires, the feeling of bad roads and paths belongs to the past. Driven by the strongest Bosch engine, maximum turning pleasure and powerful pedal support are guaranteed. Another highlight of the massive road E-MTB is the fully integrated Bosch PowerTube battery with the endurance power of 500 watt-hours. 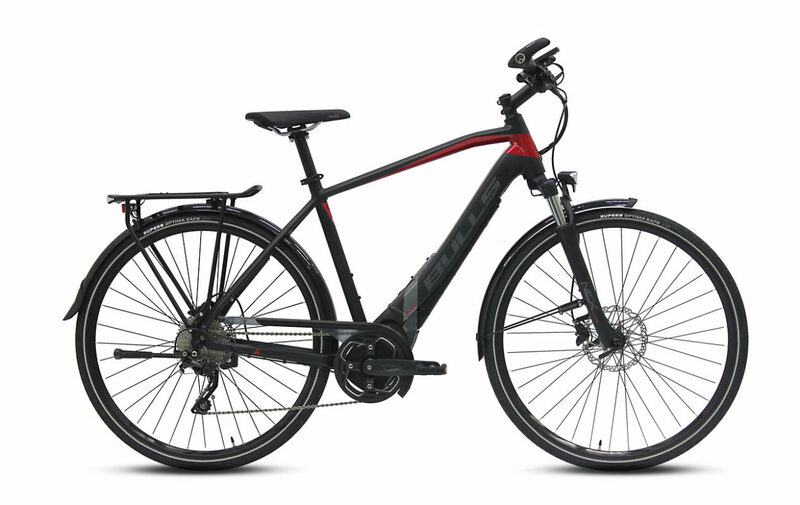 Hydraulic disc brakes and 10-speed Shimano Deore gearbox complete the high quality features. Frame: The Bulls Iconic Evo TR 1 features a lightweight 7005 aluminum frame. It has a high strength to weight ratio and is highly resistant to corrosion. Brakes: The Bulls Iconic Evo TR 1 is equipped with Shimano BR-MT200, hydraulic disc brakes, 180/180mm with 3-finger brake lever a high, precisely metered braking force in the powerful design. 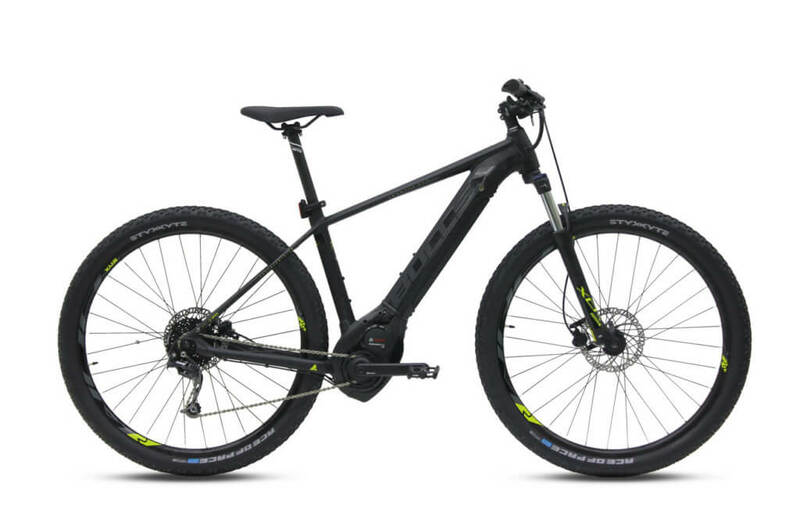 Drivetrain: The Bulls Iconic Evo TR 1 features a Bosch Performance Speed, 350W, a Shimano Deore RD-M6000GS-D rear derailleur, 10 speed gear, Shimano Deore SL-M6000 shifter. 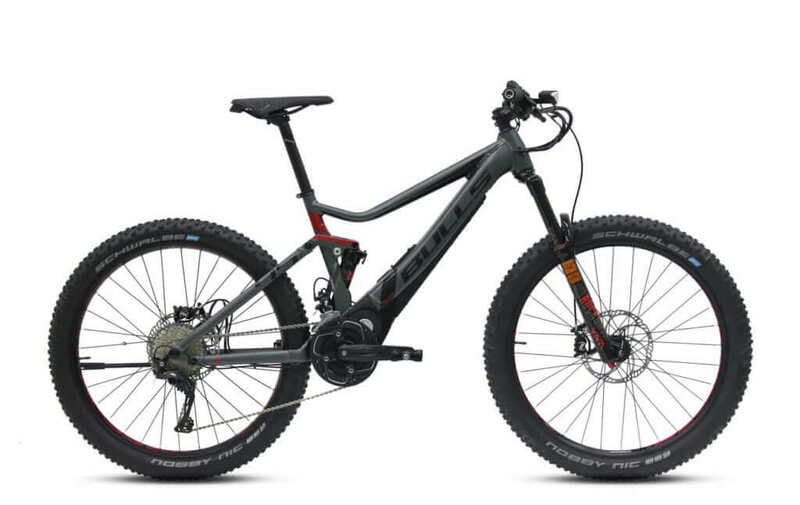 Tires: The power meets the ground with Schwalbe Super Moto-X Snakeskin, 62-584, 27.5×2.40 tires and BULLS Eccentric 35, tubeless ready rims.